Notes: After show pass courtesy of Raf Ahrayeph. 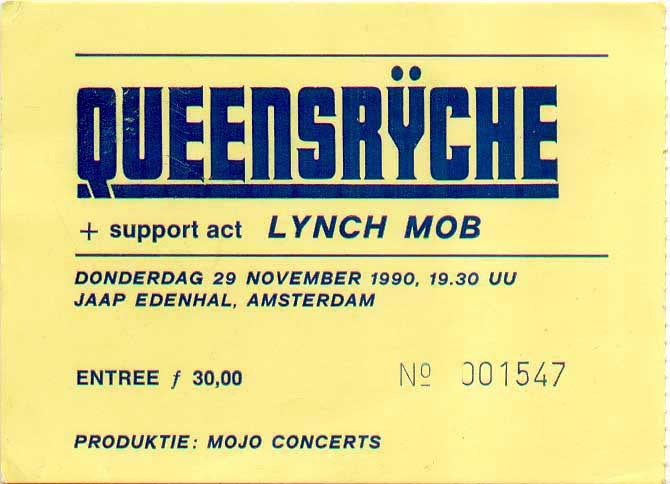 A note about it from him: "It was issued to me at the show on November 29th at the Jaap Edenhal in Amsterdam, Holland. 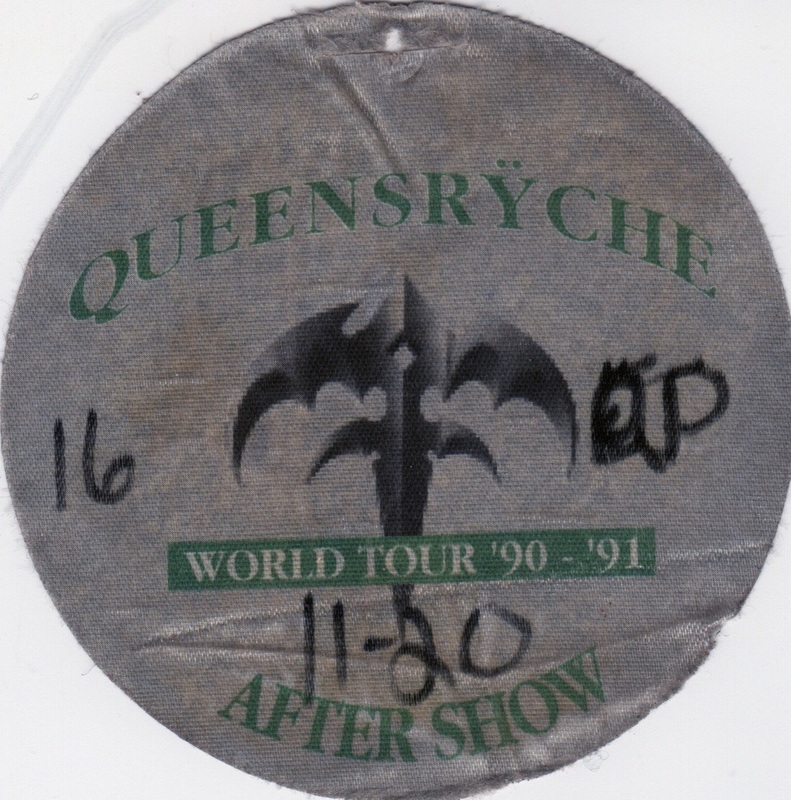 They used to issue left over passes when the day passes had run out, which was the case here, as the gig was sold out and after show passes had already been issued beforehand. I got one because of my meeting their tour manager at the show on the 20th and the sad events later that night, which cut QR’s performance in half. So while the date says 11-20, it is actually a pass from 11-29."